Oh I love everything about this! I am a sucker for burlap and chalkboard paint! I love that the chalkboard walls are textured! LOVE the wall...LOVE the whole room!! That looks so great with the thick moldings and all the neutral and light colors. Gorgeous! Oh my gosh, I love it! I can't believe how much it seems to "ground" your space. oh Diana, it looks fabulous! your dining room should be featured in a magazine. I've been meaning to cover my mini shades for my kitchen chandy in burlap for a while and you might be the push I need to get it done. I was so happy to see your post this morning, it made my day! The whole room looks AMAZING! I love, love, love every thing about it. I painted the door to our laundry room (it's in our kitchen) with chalkboard paint a couple weeks ago and I love it. So far, it has announced two birthdays. :) I'm looking forward to putting a quote for November next. Your whole house is just so dang pretty. The new dining room fits right in. 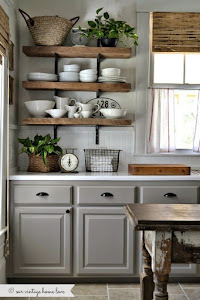 LOVE this - and I too would love to do this somewhere in my home...I think the texture of your wall makes it look that much better - the wine rack is simply elegant and what a great reminder of your Dad - gotta say I love your style! I really love it! I have been wanting to do the chalk board wall too. Maybe someday soon! Oh how I love your wall. I am your newest follower on instagram! omg, I think it looks even better with the wall finish.....not so boring black. These pics belong in a magazine...so cool! I agree with Christine your home should be in a magazine, I'm always drawn to this style of decorating. I agree with all of you - it is a stunning room. I am very envious of the chalkboard wall - fabulous! Beautiful! I was in love with the room before but this wall really capped it off! Beautiful and what a great way to highlight your dad's collection. The dark wall really makes your pretty trim and pocket door stand out. With the light ceiling, natural light and gorgeous floors it doesn't make the room dark at all. I have been wanting to do something like this and even bought the chalkboard paint but I can't decide on which wall. I love the whole room as well!! Wow, the wall looks great! I love the chalk lettering you used, and the wine rack is perfect. Your chalkboard wall looks great ! Love it! But I'm really touched by the wine display. It is so sentimentally simple and beautiful. I too have some special bottles of wine that are not longer drink-able, but dearly cherished. One bottle was given to me by a United States Senator that I worked for 20 years ago as a wedding gift. It is wine produced from our state and took a national ribbon that year. I never opened it and really should find a way to display it. In addition, my brother and sister-in-love live in Missouri Wine country. Their backyard backs up to vineyards and the beauty of the Missouri River Valley is incredible. Beautiful room! Where did you get that fantastic glass holder that is on display on top of your open shelving unit? It looks perfect up there. Everything is beautiful and great! i like the wall, very creative one. Lovely room! Question about the herbs on the dining table--- are they always in that room, or did you bring them in for the picture? Is is possible to grow rosemary in indirect sunlight? Hi Mrs. P! I just bought these and am hoping they will survive indoors at least through Christmas. Sadly, I usually don't have any luck growing herbs indoors, even in a sunny window. Hi there. This is my first time visiting your blog and I adore it! I will be a regular reader from here on out. I have a blog/website as well for my love of all things vintage and antique! Hi Everyone! I feel so blessed to have discovered this site! I am a true vintage-holic!. I've used chalkboard paint on many things. One of my favorite projects was painting a full length mirror that usually hangs on the back of a bedroom door and then hanging it on the front of my 8 yr old stepson's bedroom door! We have a blast leaving silly messages for each other. I love your dining room. I can't wait to see it decorated for Christmas. Totally love it. I've incorporated a chalk wall in my dining room but so far have been a bit scared to implement it. It looks great. This makes your dining room look so warm and inviting!!! You have SUCH talent Diana! I found your blog through pinterest because I was in LOVE with your DIY farm house table. Since then, I have been following on and off. You chalkboard wall looks phenomenal, even with the textured walls! Who would've thought! I've seen a few chalkboard walls, and wasn't really a fan, but you've hit the mark. Thank you for sharing your amazing talent with us! I love, love, love this room! I have a new project!!! Also, I have a similar light fixture, except mine is brushed nickel. I had the hubby take it down shortly after we moved in a few years ago. Now, I'm tempted to dig it out of the shed and replace the shades, including painting it. Love your site and your chalkboard wall! I have a large 8 x 4 framed chalkboard in the kitchen, but have always played with the idea of painting the whole wall chalkboard. Now seeing your gorgeous wall I am just going to go ahead and paint the whole thing! I also made your pumpkin scones the other week...they were absolutely delicious. We all loved them, thanks! Hi Diana! I love the chalk board wall you have created, it looks fab! I have wanted to do this forever too. Where did you get the paint from? I'm loving what you have done with your dads wine also, its a really nice idea. very lovely room decoration.I love this room! Hi!! Love this room and my husband I attempting to build me a table following your blog. Can you tell me how tall the legs of your table are?! Where did you get your rug?! Your dining room is stunning. I just love that wall. Pinned!! Beautiful dining room! So inspired by your house and decor. My sister and I recently started a blog documenting our DIY projects and home transformations- I linked up my adventures about my chalkboard wall to your page. Hope my home can be as beautiful as yours one day. Thanks for the inspiration!